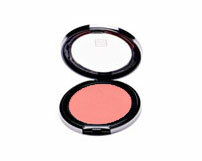 A highly pigmented yet very easy applied blush which is both long lasting & non-fading during the day. Contains vitamins & anti-oxidants which protects and nourishes. Available in matte & soft pearl shades.